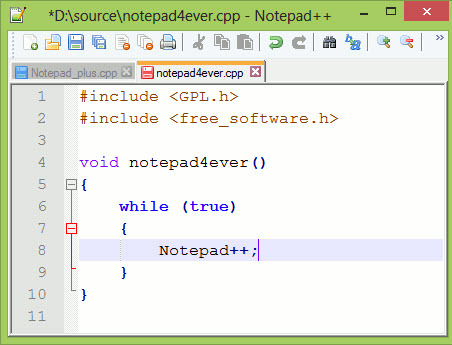 Notepad++ 6.7.5 is now available for download. What’s new in this release? Filename rendered incorrectly on tab bar while it contains ‘&’ character. Installer remembers user’s choices of last installation.